April 18, 2010 April 18, 2010 Posted on: GermanGenealogist.com has accepted a German Genealogy research case for a client from South Africa who wishes to establish dual citizenship. 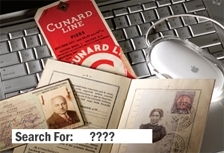 We find most of our clients’ ancestors on passenger lists! May we find yours?